This month I've really enjoyed some of new music music being released, and very excited about some upcoming albums I've had to put in iPhone calendar! First and foremost I'm particularly excited for the new Catfish and the Bottlemen album that is due to be released May 27. I have a lot of love for these boys, which grew ever more after attending their recent tour (gig review: coming soon). Their new song '7' is phenomenal, and I expect great things to come with their upcoming release. On that note, I was reeling to find out the release date of Beartooth's new album; if you're a fan like me, you'll understand how exciting this news is. I first discovered the band when I took a trip to Slam Dunk Leeds last year, and since them, I'm not gonna lie, I'm a little obsessed; but after listening to their debut album one too many times, it's very exciting to know some new material is on its way- and just in time for their spot at Download Festival. It can't just be me super excited for the Travis comeback, right?! After only a couple of years away, it feels like they've been gone forever! There's just nothing not to love about their new single 'Radio Song', they've definitely not lost their spark, and it's a song that will get stuck in your head for days on end. I've been lovin' 'Cool Me Down' by Margaret this week. If you've never heard of her, check her out. As of yet she doesn't have many songs streaming on Spotify, but I predict big things for her. Such a catchy tune that you'll be bopping along to in your car, shades on driving to the beach- it's definitely a tune for the summer. Last but not least I could not not include a Prince song into APRIL'S PLAYLIST. I, as I'm sure many others, were left devastated to hear the news of his passing last night. 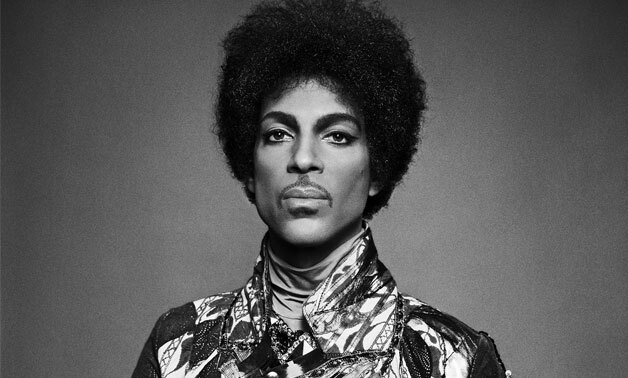 The world's music has truly lost an icon and a prince, let's make sure his legendary music lives on.